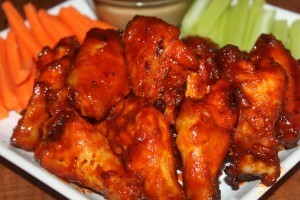 Baked honey barbecue wings are one of our favorite appetizers when we are feeding a crowd. By seasoning the wings before they bake, they develop an extra depth of flavor before being tossed in the homemade sauce. The wings bake up with a crispy golden texture and the sauce is the perfect mix of a sweet, yet smokey flavor that everyone enjoys. Wing recipes seem to be a huge hit on the website this time of year, so if your looking for even more tasty recipes – check out our other top wing recipes! 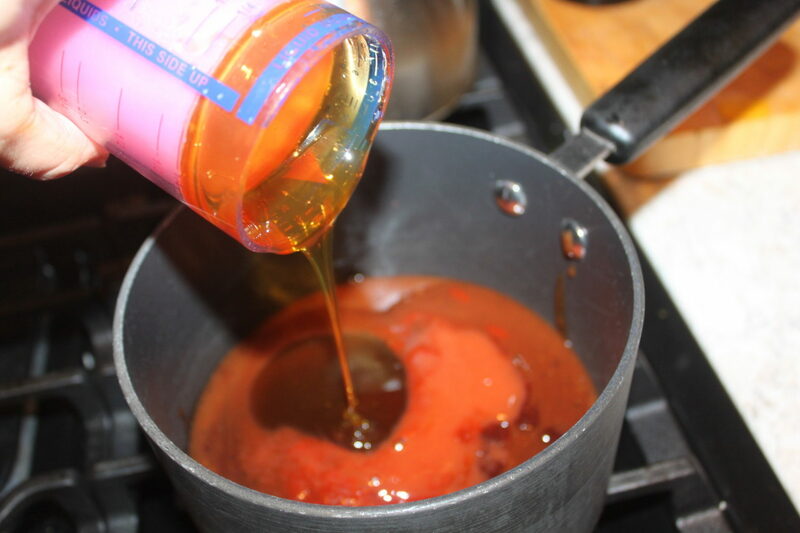 Homemade honey barbecue sauce made using an adustable measuring cup. 1. 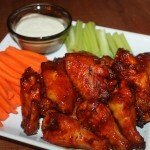 In a large bowl add thawed chicken wings and toss with oil, paprika, garlic powder, salt and pepper. 2. 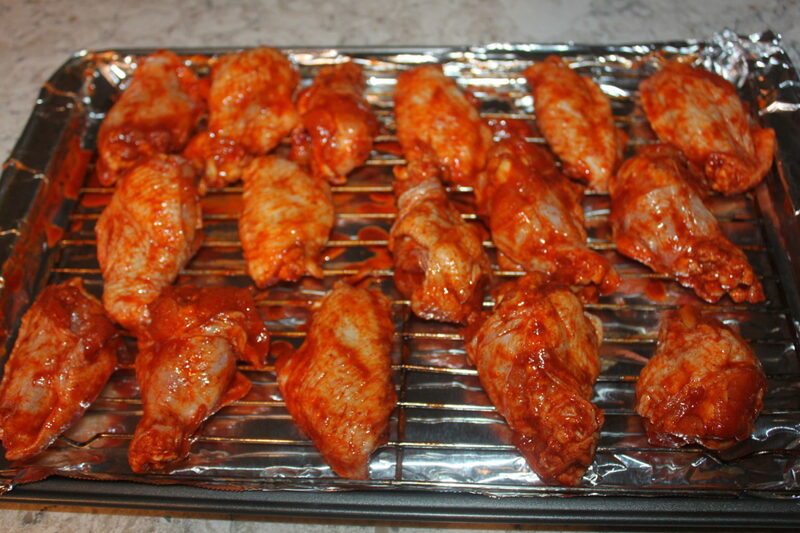 Place a wire rack over a foil lined baking sheet and place wings on the rack. 3. Bake for 55-60 minutes, until the skin is golden and crispy. Turn wings after 30 minutes. 4. In a small saucepan over low heat, melt butter. Add barbecue sauce, honey, and hot sauce and bring to a simmer. Let thicken, 5-10 minutes, then remove from heat. 5. Remove wings from the oven and heat broiler on low. Transfer baked wings to a bowl and toss with sauce until completely coated. 6. Return the wings to the rack and broil until sauce caramelizes, 3 minutes. **Watch carefully during this process to make sure the wings don’t burn. Serve with blue cheese/ranch dressing if desired. 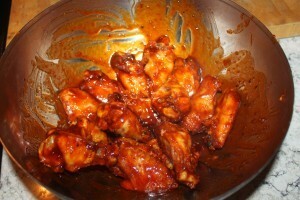 In a large bowl add thawed chicken wings and toss with oil, paprika, garlic powder, salt and pepper. Place a wire rack over a foil lined baking sheet and place wings on the rack. Bake for 55-60 minutes, until the skin is golden and crispy. Turn wings after 30 minutes. In a small saucepan over low heat, melt butter. Add barbecue sauce, honey, and hot sauce and bring to a simmer. Let thicken, 5-10 minutes, then remove from heat. 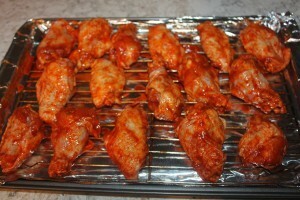 Baked wings tossed in honey barbecue sauceRemove wings from the oven and heat broiler on low. 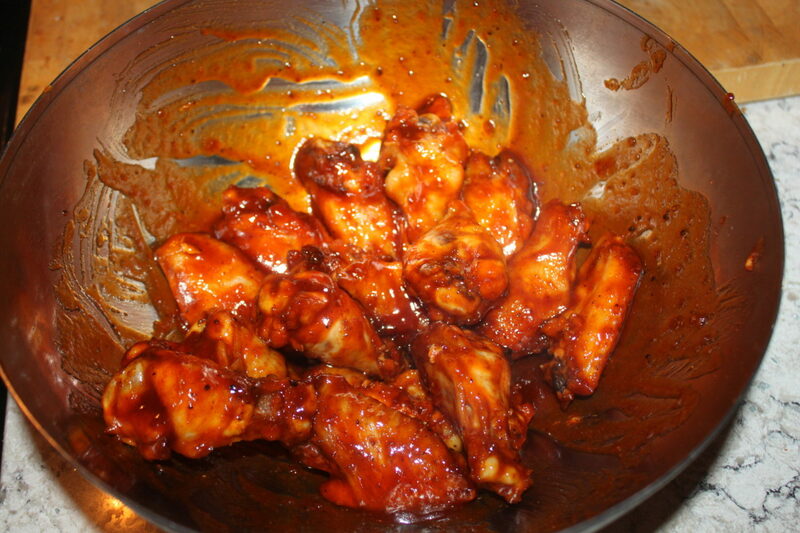 Transfer baked wings to a bowl and toss with sauce until completely coated. Return the wings to the rack and broil until sauce caramelizes, 3 minutes. **Watch carefully during this process to make sure the wings don’t burn.